If you plan on selling your home down the line, then it’s wise to speak to real estate agents to find out what buyers look for in a home. Some of the most popular ways to increase the value of your home includes making your kitchen a little bigger, adding a lounge area, and having a suite bathroom built to connect with the master bedroom. Proper planning will save you a lot of time, money, and energy down the line. Make sure to work with either contractors or an architect, depending on the nature of your renovation. Regardless of their title, you’ll need someone who can help you draw up blueprints and drawings that detail the specifics of the renovations. This allows you to see just how much everything is going to cost, where that money is going, and how it is all going to be put together. This ties in with proper planning. Make sure that the blueprints and drawings are detailed and very thorough. The difference between this one and the one above is that most people tend to overlook this particular step, and regardless of what people say, it is crucial that you have blueprints drawn up. That’s because blueprints give you a specific vision you can look at, rather than a set of abstract notes and figures. During your renovation, you will encounter a number of pieces and parts that are still functional and usable. Some of them may need Repair or refinishing. Instead of going out and buying new ones, fix them up and clean them off. Make them usable and attractive once again, and you’ll save quite a bit of money in the end. In the planning phase, you should have figured out the budget. When you’re getting all of the materials, make sure there are no hidden costs, and that everything is either exactly the price you wrote or around that price. 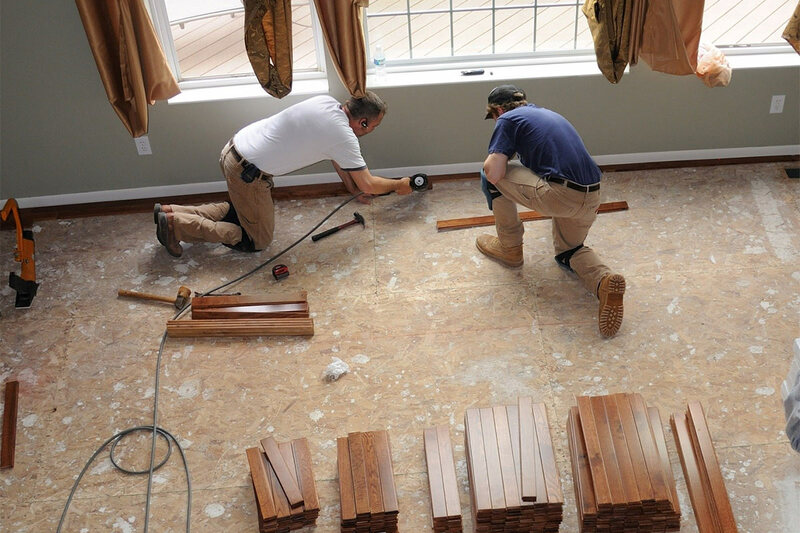 It may be wise to get the materials yourself, rather than having contractors do it. Stuff happens. Things pop up. Take some of the pressure off and set aside some extra money that you can use if need be. If something breaks, or you need to repair or replace something, you’ll have this extra money. Most importantly, you won’t be stressing about it. This is key in making sure that you won’t have to deal with stress or anxiety due to an accident or unexpected cost that may pop up. Unless you’re an electrician or plumber, it isn’t advisable for you to do those things. However, there are a lot of things that you probably can do pretty well. This may include painting and installing things like shelves or other smaller fixtures. Leave the window-fitting, plumbing, and wiring to the pros, but do the small things yourself and you’ll save at least one-thousand dollars. If you can borrow a vehicle to haul your supplies, great. If not there are still options. Look into renting a passenger van to transport oversized materials. Doing this yourself will save time and money rather than paying someone hourly to drive to and from just to pick up supplies. Yes. There’s a lot of this work that you can do yourself. However, there is also a lot of work that you shouldn’t do, because it may lead to unsafe conditions and, in the end, it will cost more. Make sure to hire skilled subcontractors that can do what you cannot.